Britain’s poor response to the country’s growing housing crisis contravenes its obligations under United Nations human rights law, according to a coalition of charities. 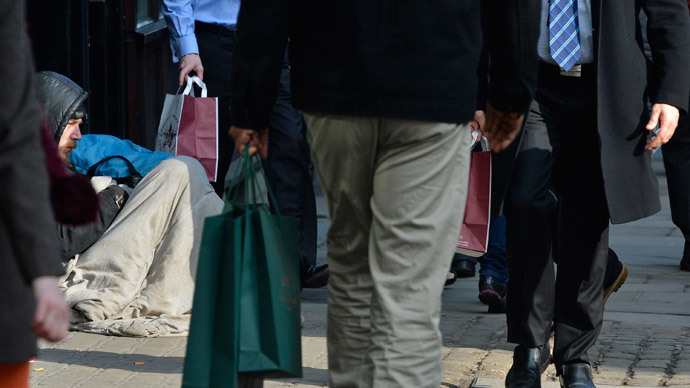 The report by Just Fair, a consortium of housing charities, says England is in the midst of a crisis with “exceptionally” high numbers of homeless people and poor quality habitation. Housing insecurity is described as affecting “broad swatches” of England, not just people who live on low incomes. The group calls on the government to take “immediate measures” to tackle homelessness and build additional housing to meet the growing demand. Just Fair brings together Oxfam, Amnesty International, Save the Children and Unicef UK. Its report, ‘Protecting the Right to Housing in England: A Context of Crisis,’ was authored by Jessie Hohmann, a lecturer in law at Queen Mary University, London. Hohmann argues that as a signatory of the International Covenant on Economic, Social and Cultural Rights, the UK has a legal obligation to provide an adequate standard of living. However the British government is failing to meet these obligations, as homelessness levels increase and affordable accommodation remains out of reach for many people. The report looks at two key areas of the housing crisis: homelessness and the private rental sector. Hohmann cites figures which indicate the number of people sleeping rough in England has increased by 55 percent since 2010 and by 14 percent since last year alone. Behind these figures are the worryingly high numbers of “vulnerable” households at risk of becoming homeless. Hohmann says 280,000 households in England fall into this category, a 9 percent increase on last year. “For one third of those living in private rental accommodation, life is lived in unsafe and unhealthy conditions below the basic minimum considered adequate in England,” Hohmann states. Tenants are afraid to complain about poor quality properties for fear of “retaliatory evictions or arbitrary rent rises,” she adds. A quarter of people renting from private landlords rely on housing benefits to pay the rent, resulting in a situation where the government effectively subsidizes private landlords. Hohmann called on the government to take “immediate measures” to end the housing crisis. These include the building 250,000 new homes per year and the introduction of new legislation to strengthen protections for private renters. Housing campaigner Howard Garrick lauded the timeliness of the report’s publication. “Despite the need to pay off Labour’s deficit, Conservatives in government have worked to increase housebuilding to its highest since 2007 and delivered 217,000 new affordable homes,” he added. Labour MP and Shadow Minister for Housing Emma Reynolds disputed the Conservative claim. “Under David Cameron, housebuilding is at its lowest levels in peacetime since the 1920s,” said Reynolds. Nancy Taaffe, a candidate for the Trade Unionist and Socialist Coalition (TUSC) standing in Walthamstow, East London, attacked Labour’s “eleventh-hour attempts” to address exploitation of tenants by private landlords. “Labour’s ‘target’ is to build 200,000 in the last year of a new government. But it is estimated we need 250,000 homes per year just to keep pace with new households – let alone deal with the backlog.